Halley | Home Studio, Inc. Designed by Jordi Vilardell & Meritxell Vidal. Ground-clamp structure. 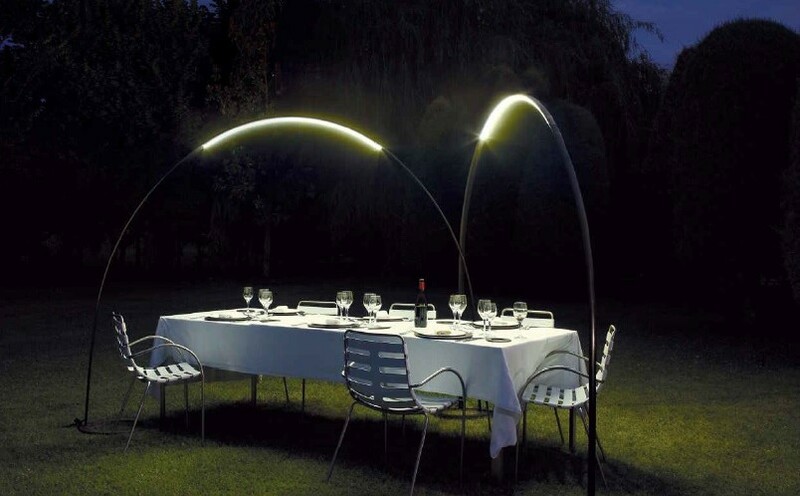 It is very easy to set up and dismantle, so that any outdoor space can be illuminated with a comfortable, even light. 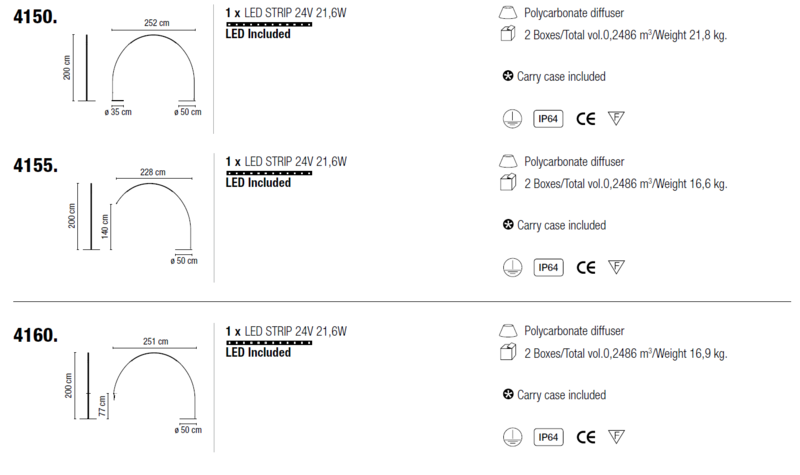 The light source is a row of LEDs.